For SHL Numerical Tests visit this article. If you’re planning on getting a job, it’s essential to prepare yourself for the psychometric testing batteries used by all major companies and government agencies. In recent years Australia has witnessed a marked increase in the use of psychometric tests as a recruitment tool during job interviews. As the number of university degrees in the workforce continues to increase and the global market becomes ever more competitive, companies in Australia have been looking for more accurate means of assessing their potential employees before hiring. In the wake of this demand, specific recruitment firms and job assessment companies have risen to supply employers with a variety of testing methods to aid them in choosing the right employees. Practise psychometric tests here. What are Aptitude/Cognitive Ability tests? Numerical Reasoning: These tests are based on questions dealing with numbers, statistics, graphs and budget data to assess mathematical reasoning skills. Verbal Reasoning: These test comprehension abilities. You’ll be presented with texts or passages, and be asked to answer questions in the form of True, False or Cannot Say responses to each statement. 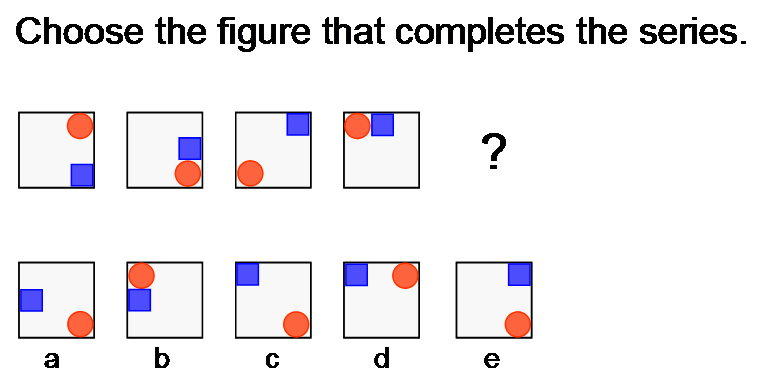 Where am I likely to come across a cognitive test? SHL are one of the top assessment companies in the world. More than 50 percent of global Fortune 500 companies, 80 percent of the FTSE 100 and half of the Australian Stock Exchange use SHL for talent management solutions and services. Some examples of companies that use SHL tests are: Barclays, Coca-Cola, Danone, General Mills, Marks & Spencer, Microsoft, Sprint, Target, Time Warner Cable, UnitedHealth Group, Vodafone and Xerox Corporation. If you’re applying for a job at a company that uses SHL you are most likely to be sent each of these cognitive ability tests before coming in for an interview. You can get SHL practice tests here. Saville is another leading assessment and consulting firm widely used in Australia. A large number of major corporations in Australia and the world use their services. Examples of companies that use Saville are: BP, Jaguar Land Rover, Siemens, Vodafone Ernst and Young and PwC. Saville’s cognitive tests compromise of specific tests for Numerical, Verbal and Non-verbal Reasoning. You can get Saville practice tests here. Revelian is a popular Australian psychometric assessment company, they provide assessment tests for companies around the world and have an especially strong presence in Australia. In addition, most government agencies also rely heavily on Revelian’s cognitive ability test as part of their assessment process. This is likely the result of a recent government study that showed a strong correlation between Revelian’s cognitive ability tests scores and overall job performance. Some examples of organisations that use Revelian (OneTest) are: New south Wales government, RSM Bird Cameron, APRA, Toga Hospitality, Medina hotels, Thiess, ARUP, Energy Australia, Pegasus Employment, Equisuper, BDO, BT Financial Group, Deloitte, BMW, Peabody Energy, Pepsico, Department of Immigration and Citizenship, FaHCSIA, Dept of Defence and Human Services, AFP and Dept of Health and Ageing. One of Onetest’s most popular products is their cognitive ability test. This psychometric test is similar to other reasoning tests seen at most selection processes. What makes it stand out is that it combines the different types of reasoning tests into one comprehensive examination. Other assessment companies such as SHL and Saville have a separate test for each kind of psychometric test: Numerical, Verbal and Non-verbal. The Revelian (OneTest) Cognitive Ability Test (or OCAT) is comprised of 51 questions and takes 20 minutes to complete. You can practise Revelian’s cognitive ability tests here. So how do I prepare for these cognitive tests? Now that you know what to expect you’re already in better shape than many other candidates. The only way to really improve your scores, though, is through taking practice tests. JobTestPrep has an up to date database of practice tests for every type of cognitive test. In addition, they are also the only company with practice tests especially tailored to be exactly like the tests given by each specific assessment company. Access these practice tests here. Sign up for free tests here. For Psychometric Test Tips for banking and finance positions visit this article. For a list of Australian companies that make use of psychometric testing visit here. Need help with your SHL test? contact me at leecox201@hotmail.com. I am a retired account lecturer. Guaranteed High percentile in any test including Numerical reasoning, Verbal reasoning, etc. Never will I escape from this disastrous test haha. Ok it’s time to deal with it even though I don’t even pay any little attention for it. The link which you give is quite good, I have been searching for some websites to do a practice test to see how far I can go.